Old lawnmower models took a lot of effort to use; all that pushing and pulling could make a small yard feel like an acre. Self-propelled lawnmowers changed all that. A lever attached to the handle of the motor trips a small mechanism in the engine that moves the back wheels of the unit. This propels the mower forward. 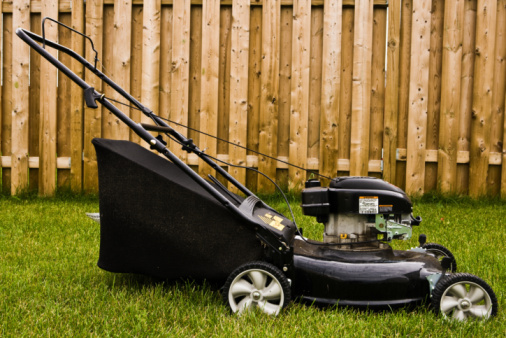 Most other components of a self-propelled Lawn Boy mower are the same as any other mower and are troubleshooted in the same way. 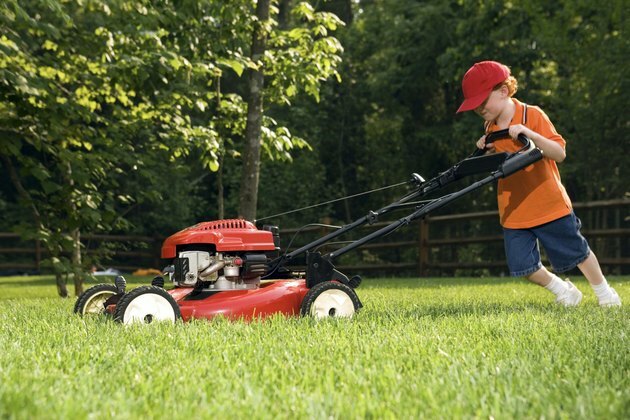 Self-propelled lawn mowers reduce the amount of pressure needed to move the mower forward. Inspect the fuel tank and fill it to the top if empty. Remove fuel older than a month. Inspect the spark plug. Screw it down to seat it properly. Remove and replace the spark plug if you notice signs of rust. Inspect the fuel line leading from the fuel tank to the carburetor for signs of cracks or leaks. Loosen the screws holding the fuel line in place and remove the fuel line if it needs to be replaced. Remove the screw, or press the tabs, holding the air filter cover in place. Remove the air filter and clean or replace if it is dirty. Inspect the blade on the underside of the unit if the mower vibrates. Tighten the blade with a socket wrench if it is loose. Remove the blade and replace if the blade is bent. 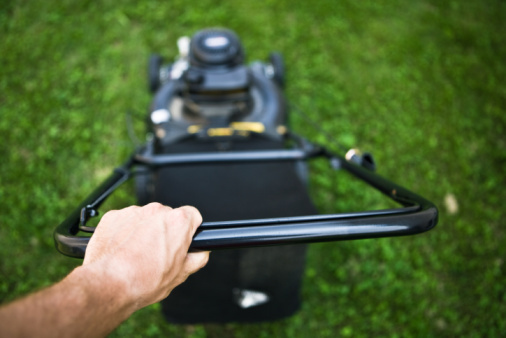 Inspect the belt on the unit for the proper routing indicated in your owner's manual or on the sticker placed on the mower deck, if the unit will not self-propel. Realign the belt if necessary. Clean debris from the drive of the mower if the unit will not move forward.